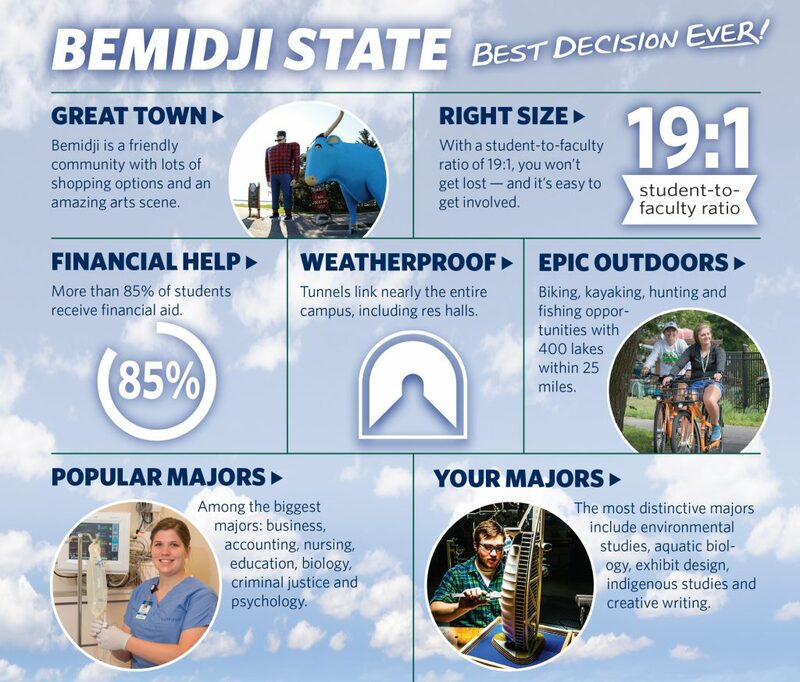 Home » Admissions » Undergraduate » Why Choose BSU? Applying to BSU may just be your Best Decision Ever! Your journey begins when you arrive on our beautiful, lakeside campus, where you will be immediately welcomed into a community of your peers for the First-Year Residential Experience. They’ll be right by your side as you quickly learn why “B-town” is recognized as one of the 100 best small towns in America. Whatever you decide to major in, you can count on small classes and plenty of options for independent research, internships and study abroad. Superb faculty will mentor and guide you toward the opportunities that will pave the way for you long after you graduate.